Since Kabam is being super lazy and that there are lots of different threads about each unique bug, which seems to be too complicated for the support team to follow, I thought it would be a good idea to just post ALL the bugs founds here, maybe that will help them getting resolved faster (who knows, one can dream...). This topic is not aimed to talk about each bug, but just to reference them. Not talking about them will allow more clarity for the team to follow up, if the decide to come in the forum which is a rare occurence nowadays. And please, nothing about crashes as those are very device based and not a general thing. -After you successfully evade a ranged SP1 sometimes when you go in to hit the enemy (soundwave for example) you always wiff. He than takes a nice 5 hit combo off you. 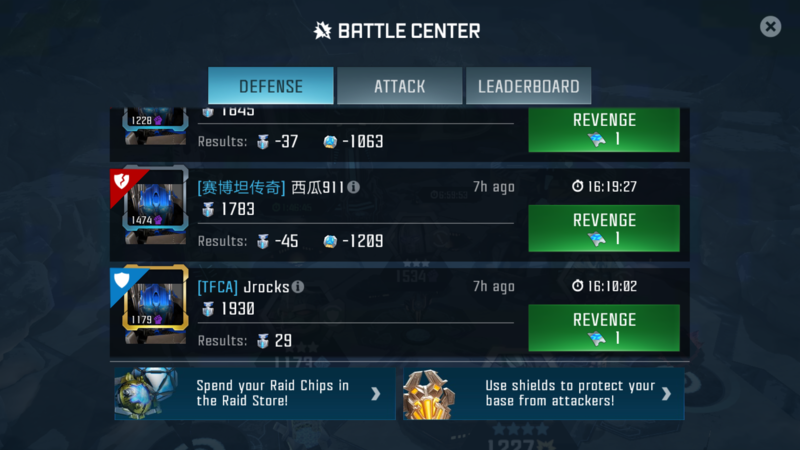 - When having an alliance screen open (regardkess if it's your own or another), when you check the profile of someone in global chat or in your friend list who isn't in you alliance, the button to go to this player's alliance is not available on his profile. - When you try and buy an item in AM and you don't have enough energon, it will send you to the energon store and when you come back to the fight select screen, it will not let you select bots. This behavior does not occur when you go to the store on your own and come back to the AM. Also, thanks for this thread. I've always been confused why no one else complains about the camera bug (camera changes angle and AI can break out of your combo). Glad to see that one on the list. I just hope this thread is follow by @Kabam Miike, @Kabam Tenebrous, @Kabam Rimehaven, @Kabam Valkyrie or @Kabam Spice. This is not a rant, just a practical way to share bugs in one place instead of multiple threads getting lost. We thank you for taking on the initiative to collect a giant list of all the bugs currently in the game. With that being said, I'm going to have to close this thread, not because it isn't appreciated, but it doesn't necessarily help our devs in resolving each of these issues. In the threads that discuss each individual issue or bug specifically, there are normally screenshots and additional information shared that our devs need to better understand the issue. Thank you for all of your help. If you do have any additional information about these bugs, feel free to post them in their respective threads so that our team here can better look into them.